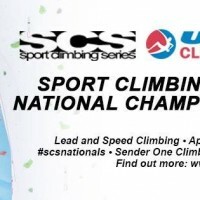 What an unbelievable night it was last night at Sender One as Brad Weaver and Delaney Miller captured their respective Sport Climbing National Championships. Weaver, who qualified for finals in 7th, came out and was the only male to finish the tough finals route, and he did so in spectacular fashion with a one arm drive by stick of the last hold. 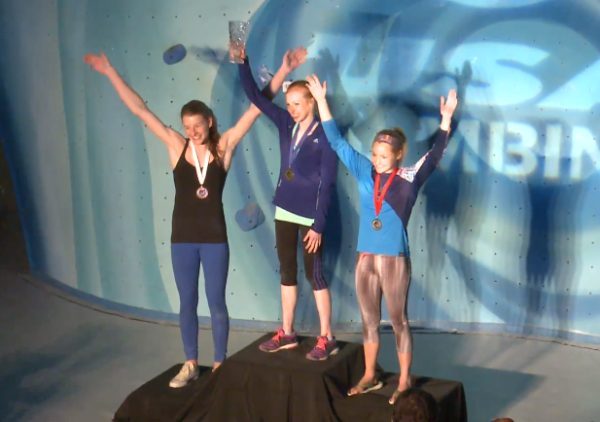 Miller, who qualified for finals in 1st position, topped the women’s final along with Sasha DiGiulian and Claire Buhrfiend, but it was Miller’s stronger performance in qualifiers that gave her a 2nd consecutive national title. You can watch full replays of Qualifiers and Finals if you missed any of the action. 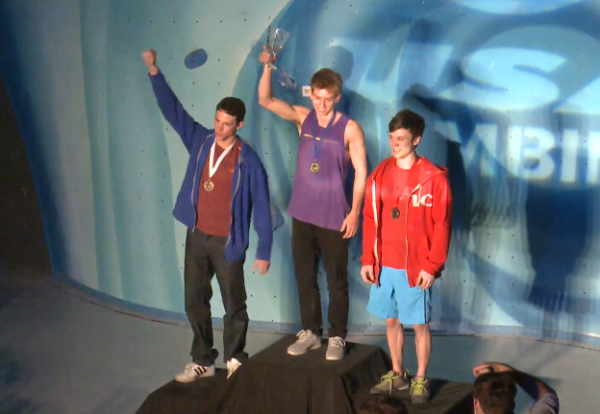 Thanks to everyone who tuned in throughout the weekend!